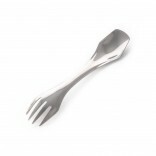 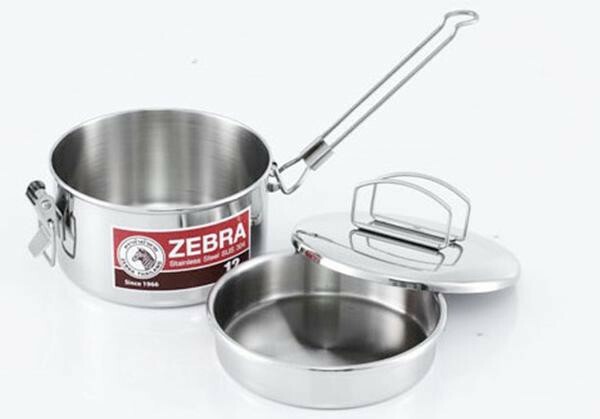 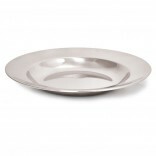 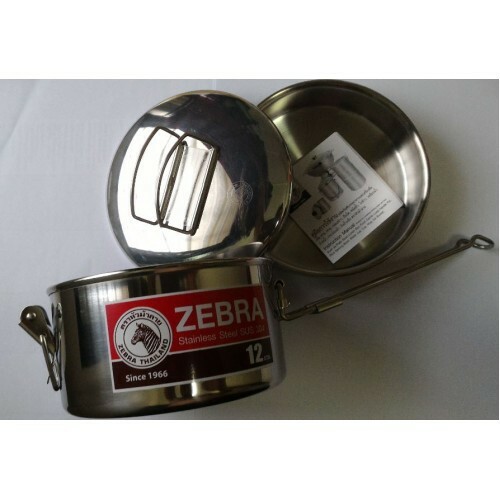 The Zebra Lunch Box is a cookware made from rugged and durable stainless steel. 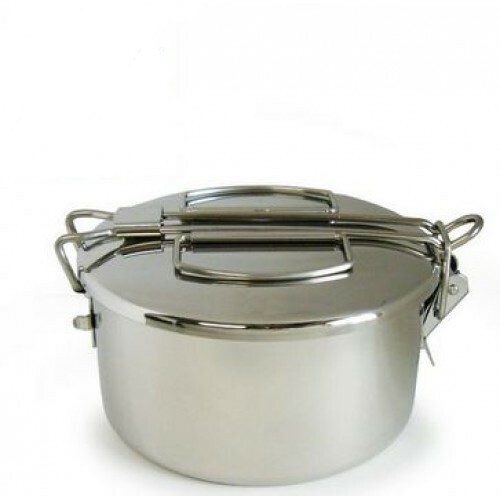 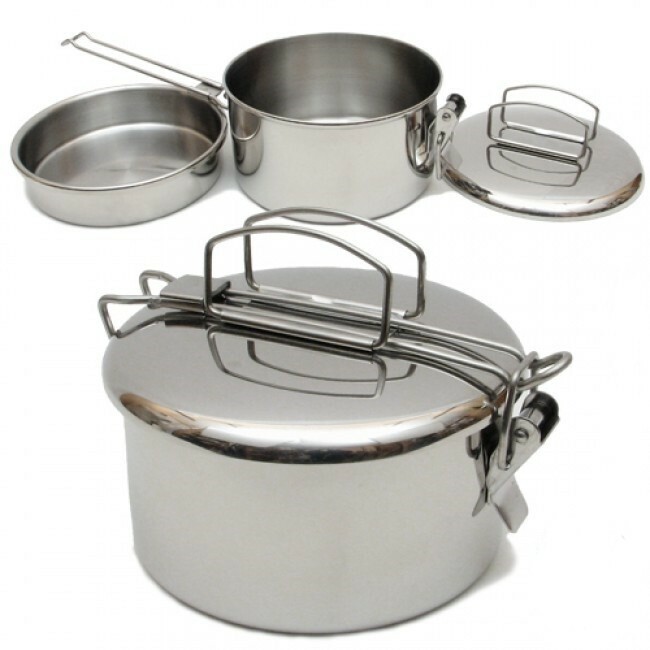 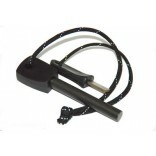 The large saucepan features a collapsible handle with a unique lock and clip that secure the lid and keeps all the contents in place. 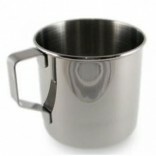 Total capacity: 1100 ml.